Hi friends! Lassi is popular refreshing and one of the most loved drink of India, a tastier way to add the summer flavors to this traditional drink is the addition of yummy ripe mangoes. This is ideal for healthy skin and provides the goodness of mangoes along with the benefits of yogurt. Wash the mango well, peel it and cut into small cubes. Take a blender jar, put mango cubes, Curd, sugar and cardamom powder in the blender. Close the lid and whip all the ingredients together till smooth. Serve Chilled. Note: Adjust sugar quantities depending on the sweetness of the mango. 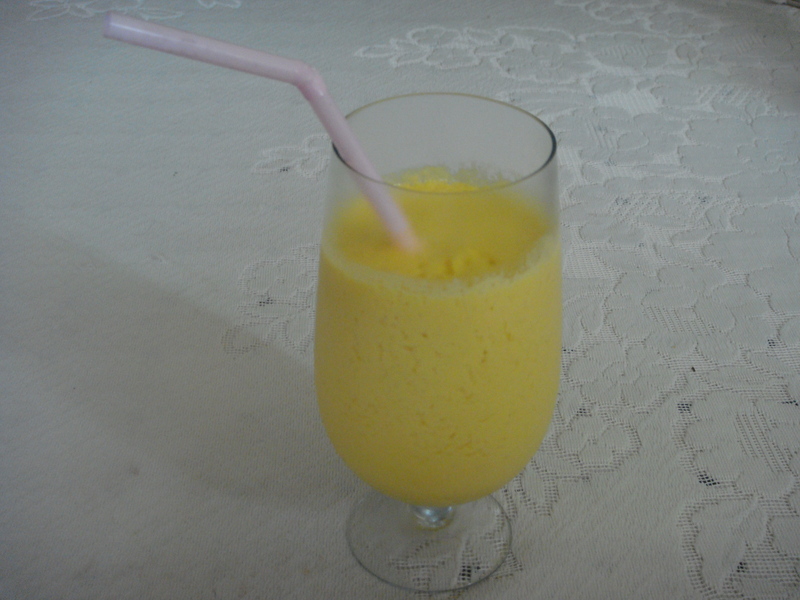 Best Mango Lassi is made with mangoes without fiber. Mangoes are fat-free, cholesterol-free and salt-free. There is only 1% fat, 0% cholesterol and 0% sodium in 1 mango. Mangoes do not make you fat even if you eat them every day. For example, if you incorporate three mangoes (400 calories) as part of the calories you need each day, you will not gain weight.